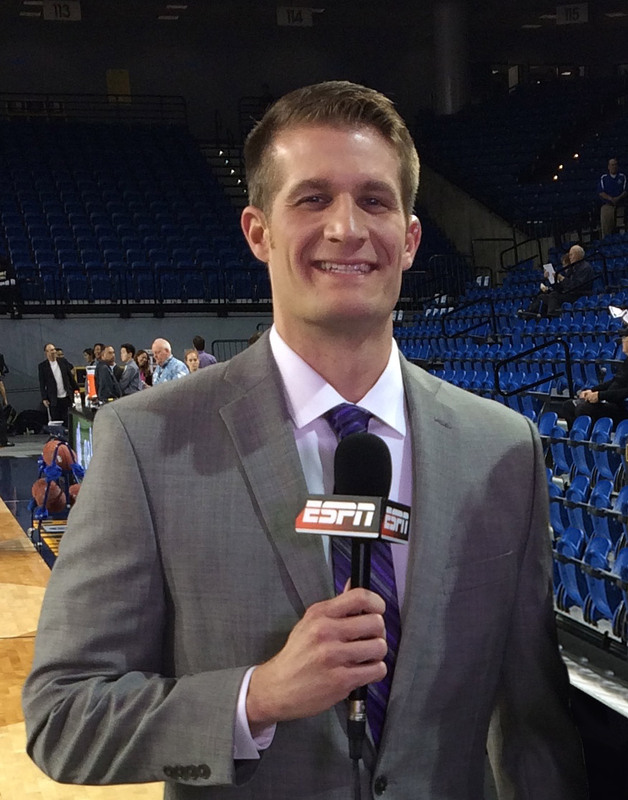 Richie Schueler is a college basketball analyst on the ESPN Family of Networks. Since 2012, he has extensively covered several different conferences across the nation, particularly the Mountain West Conference, West Coast Conference (WCC), Big West Conference, and Big South Conference. As a college basketball coach for ten years, Schueler spent time at all three NCAA levels: Austin Peay State University (NCAA D1), Wilmington College (NCAA D3), and St. Andrews University (NCAA D2). As head men’s basketball coach at St. Andrews University for four years, Schueler boasted a 100% graduation rate while leading his team to the best school record in 11 years. His recruiting efforts while an assistant coach at Wilmington College (Ohio) contributed to a No. 17 ranking in the 2006 NCAA Top 25 national poll. As a graduate assistant at Austin Peay State University, he was part of their conference championship team en route to competing against Louisville in the 2003 NCAA Tournament. Schueler is the founder of PhD Hoops, an organization that actively benefits both basketball players and coaches across the world. He is a USA Basketball Gold Licensed Coach, licensed FIBA-approved coach (International Basketball Federation), a member of the National Association of Basketball Coaches (NABC), a lifetime member of the National Sports Media Association (NSMA), and has actively instructed in nearly 100 basketball camps and clinics around the world. In addition, he is regularly contracted as an Event Director/Talent Evaluator for showcases across the United States. The Cincinnati, Ohio, native was a member of the Evansville Men’s Basketball team (Missouri Valley Conference) under Hall of Fame coach Jim Crews, former head coach at Evansville, Army (West Point), and Saint Louis where he was honored as the 2013 NABC Coach of the Year. During his playing career, Schueler played on two international basketball tours with Athletes in Action in addition to being selected to play for the Svjetlost Brod A1 Pro Basketball League in Croatia. He is also well experienced in Sports Production, working in choreography as the Sports Coordinator on Television/Film sets.